A rare opportunity to experience a personalised training and nutrition programme based on your DNA – created by leading health and fitness experts. Are you ready to take your training, health and wellbeing to the next level? Keen to know why you find some exercise harder than others? Do you notice some foods affect your performance and recurring injuries become frustrating? Our DNA:Fitness Long Weekend Retreat is a rare opportunity for you to understand your body. Why it responds well in some areas and not in others. What your predisposed strengths are based on your DNA. And where you should focus your energy to get maximum results. It provides clarity, a-ha moments and insights that will ultimately set you on the path to uncovering your fullest potential. All because some very clever person has proven that when you train and eat in line with your genetics, you’ll gain three times the results than if you were to work against them. It’s cleverness therefore, makes DNA:Fitness our most bespoke, immersive and cutting edge client experience. 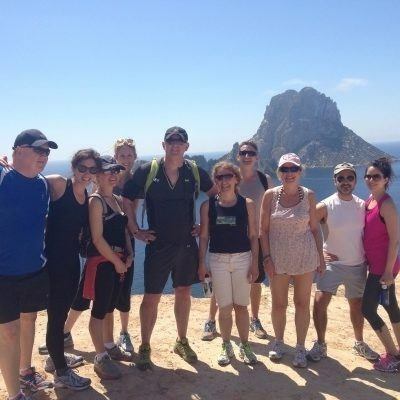 Held at the 5* ME Ibiza hotel, groups are capped at 6, with various experts and trainers on hand to make your stay as informative and results driven as possible. Before you arrive, a pack will be sent to you, which contains a saliva swap to capture your DNA. From this, a report can be generated. This will be reviewed with you on the first day of the retreat – via a one to one training consultation and separate nutrition consultation. Plus we’ll look at injury risk and recovery and training frequency, based on your results. Arriving on Thursday, the afternoon will be spent meeting the team with a healthy juice, doing your body composition and running a fitness test (which will be performed again when you leave to track progress.) DNA consultations will take place Thursday afternoon and Friday morning. You’ll also get a goody bag of treats to set you up for success, including your own fitness tracker. The itinerary is fun and jam packed with a perfect balance of high and low intensity group activities, such as HIIT, bootcamps, boxing and suspension training, coupled with yoga, pilates and motivational goal setting workshops. You’ll also get one to one PT sessions that take into consideration your DNA profile. 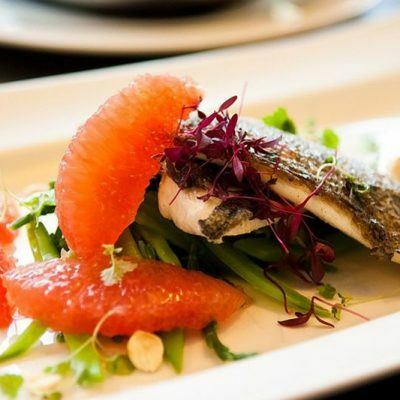 Combine this with delicious, nutritious food and a chance to relax and rejuvenate in stunning surroundings and you’ll not only be leaner and lighter, but feel healthier and happier. On completion of the retreat he team will provide you with a completely tailored, insightful training programme to take away with you. 38ºN was just what I needed. Paddle boarding, yoga and boxing were just some of the activities I enjoyed during my 5 day stay. The team at 38ºN are amazing – they really know their stuff and were very hospitable. My favourite part was being able to relax and have some downtime whilst having daily workouts. This isn’t always possible at home with a busy schedule so I like how the timetable caters for a little bit of everything. 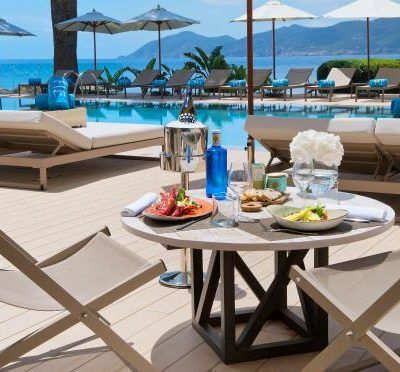 I highly recommend this for anyone who wants to recharge, try varied activities and enjoy some yummy juices and food all whilst taking in the Ibiza rays. 38ºN is a brilliant way to kick start a new health and fitness lifestyle and a good kick in the pants for even an ardent gym bunny like me. The team are great fun and so enthusiastic about what they do, its infectious. I highly recommend it! I really needed a week away after a few stressful weeks at home. Felt out of shape and in need of some focus. The 38ºN team totally nailed it for me. Beautiful location and a super team combined to make it one of the best weeks of my life. Quite often fitness trainers are very cliched and obsessive but Rob was gentle but persuasive and very inspirational. I lost a kilo of body fat in five days!! Truly professional and a brilliant schedule of different activities which constantly kept it interesting. Recommend this 100%!